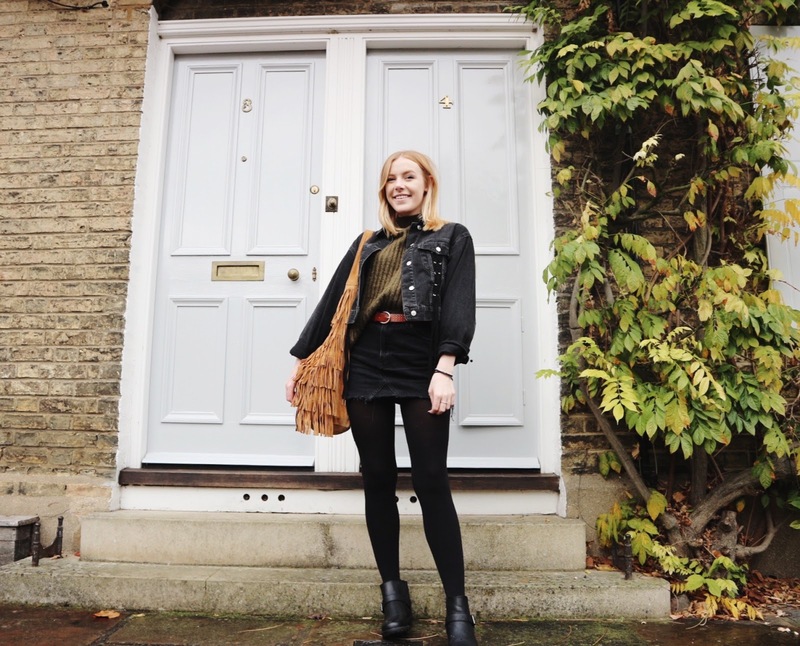 With winter upon us, it's time to get out the jumpers (or like me go out and buy loads more) and find the winter boots you shoved to the the bottom of your wardrobe. For me, the worst part about winter is that it means you can't leave the house without having to wear a coat that 9 times out of 10 makes an outfit go from a 10/10 to a solid 3/10. 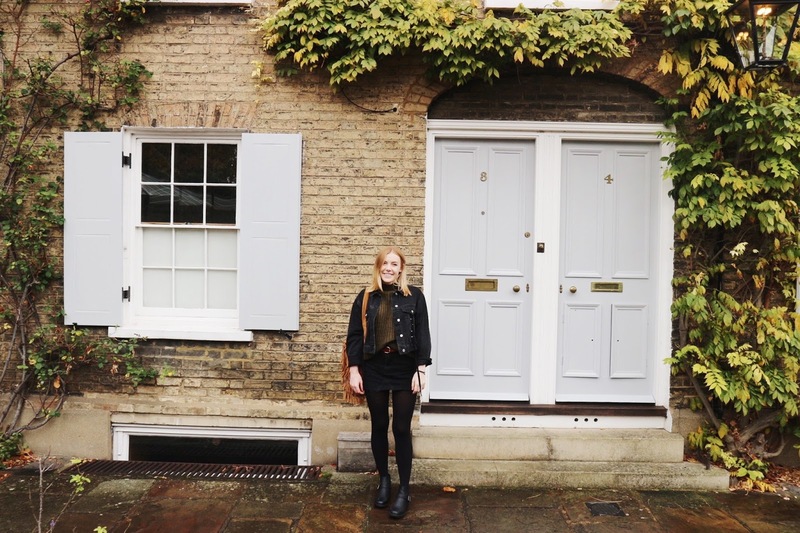 Nonetheless, layering and styling summer staples into more winter friendly pieces I am a fan of. Take one of my favourite skirts from the summer, now perfectly acceptable on a more mild winter day with tights, and not forgetting a good old pair of boots. This combo is one of my favourites. This khaki jumper (one of the many many I own) I recently purchased from Primark for just £10. I bought it oversized to have the baggy look when tucked in to a skirt/pair of jeans. The finishing touches of this outfit are definitely what makes it. 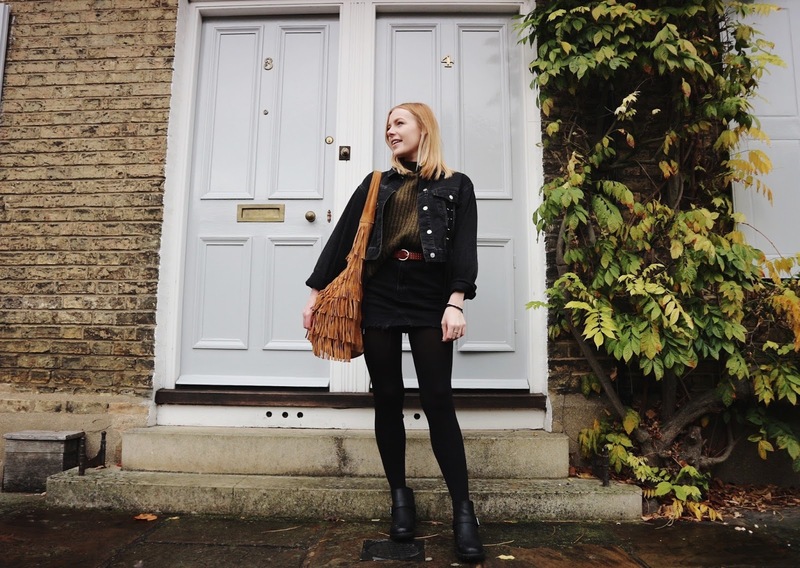 The brown leather belt, and the leather tassel bag, makes the look all the more autumnal/wintery. 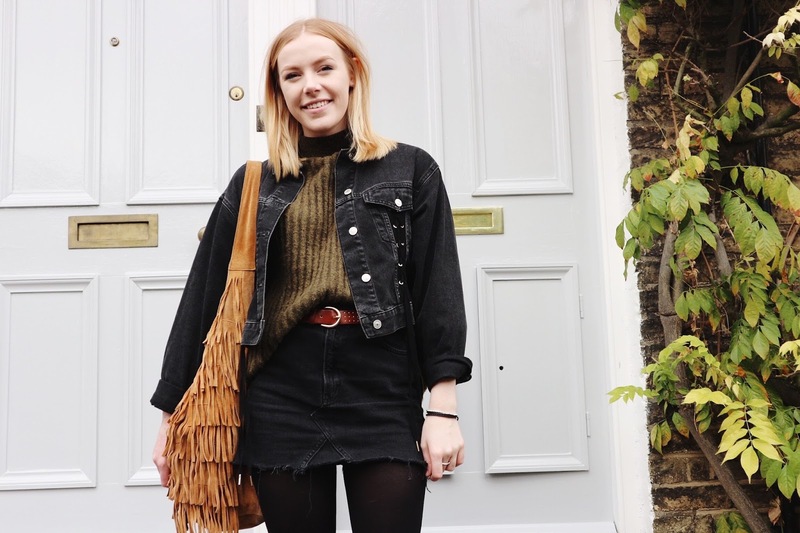 So there we have it how I love to style my denim skirt for a winter look! you are ROCKING this skirt, girl. i absolutely love a jumper tucked into a skirt, so effortless and classic! totally fangirling over the double denim too. just an all round fire outfit!